A Miami toddler who accidentally shot himself in the head in August was released from the hospital Thursday afternoon. Darnal Mundy was discharged Jackson Rehabilitation Hospital a day before his fourth birthday. 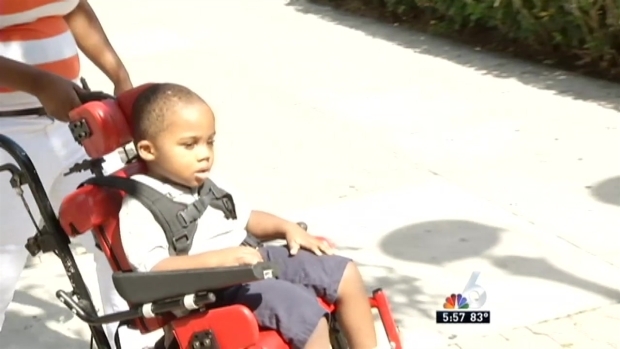 Back in August, Mundy's mother, Dorphise Jean, told NBC South Florida that her son got a chair and climbed into a drawer where she kept a loaded gun. She and the boy's father were asleep at the time. She believes her son may have been looking for his iPad to play with. The incident occurred around 6 a.m. on Tuesday, Aug. 4 inside an apartment located in the 100 block of Northeast 71st Street in Miami, said a Miami Police Department representative. 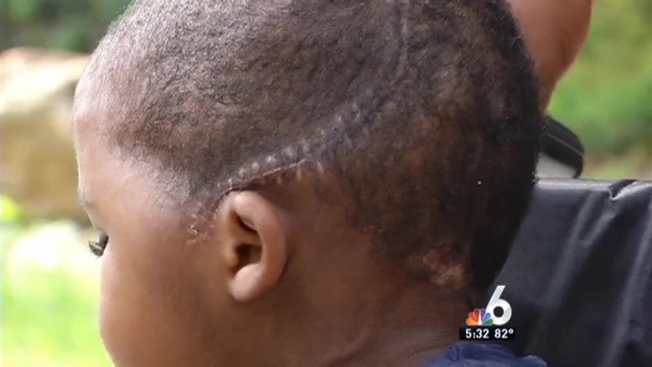 A South Florida toddler who accidentally shot himself in the head is making great strides on his road to recovery. Three-year-old Darnal Mundy isn't quite ready to go home but doctors said he's recovering quite well and has exceeded their expectations. The mother told NBC 6 that she works as a security guard, but kept the gun in the house for safety reasons. "He's my only baby, please," Dorphise Jean pleaded. "I prayed to God all day." After initial swelling of the brain, Mundy's condition improved and doctors predicted he would make a full recovery. Doctors at Jackson Memorial Hospital say the toddler exceeded their expectations. Mundy suffered a gunshot wound to the center of his head, and underwent physical therapy. The Miami Seaquarium will be hosting Mundy at a birthday celebration and dolphin meet and greet on Saturday.